All saunas are prepared for connection to electric heaters, by special order traditional wood heaters are also possible. The sauna benches are made from wood with low thermal conductivity such as aspen or black alder. Standard benches are meant to be used by 1-4 persons. 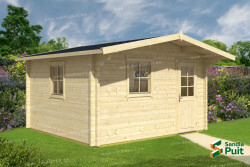 Depending on the model the sauna house includes only a steam room, dressing room with steam room or steam room with washing room and dressing room. The steam room has a tempered glass door with wooden knob and tempered glass windows. All sauna houses have a heater protector, back and head rests (for lying down). 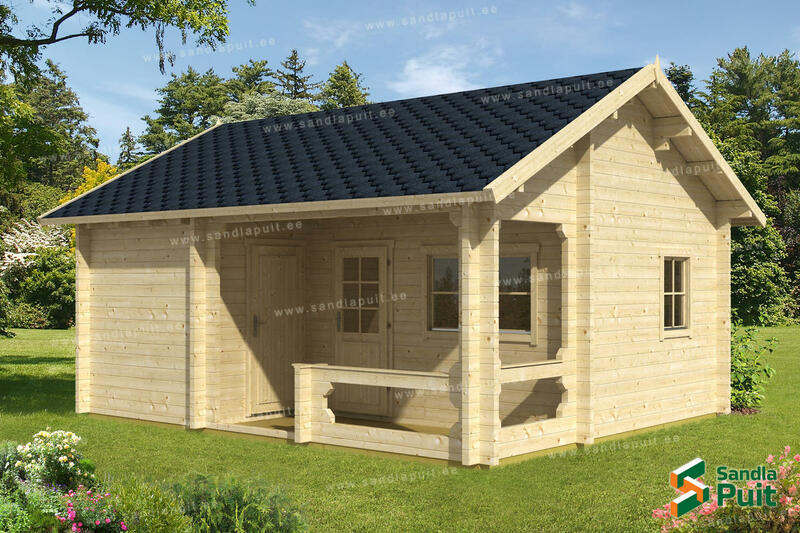 The sauna Karina is a spacious sauna house which can be enlarged on the front side to include a washing and dressing room. In addition to the steam room there is a spacious, cosy area for lounging. The sauna Ella is for those who do not want to forfeit having a sauna despite a smaller yard. The small house has a large hall and small terrace where it is nice to cool off.